1 edition of Le dieu qui danse found in the catalog. Add another edition? 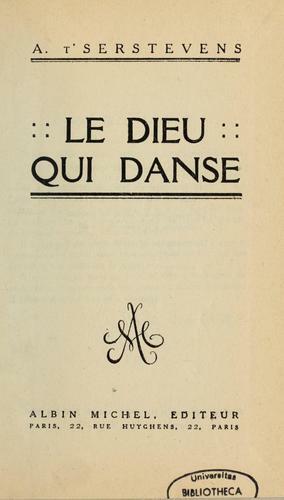 Published 1921 by A. Michel in Paris . 4 p. l., -249 p., 2 l.
April 27, 2011 Created by ImportBot Initial record created, from Internet Archive item record.